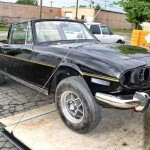 The freshly painted black 1973 Triumph Stag standing in front of me is taken so far apart that it’s making me nervous. 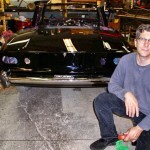 In my 35 years of restoring classic cars, I have never owned one so disassembled. Right now, the Stag is little more than a just a rolling shell, with not only all the trim and every mechanical system removed and every wire out of place, but all the body hardware is gone, too. That means every grommet, clip, nut, bolt, screw and plastic trim part is off the car. I’ve waited 13 months for this, the chance to build one of the nicest Stags on the planet. And now that moment has arrived and brought with it what I call The Fear. The paint job, I believe, is one of the best ever applied to a Stag anywhere at anytime. Every body panel was removed and made perfect, given six coats of the shiniest, glossiest, deepest, darkest blackest black you’ve ever seen, and then the panels were reattached. Every gap is uniform, straight and perfect. No Stag every looked so good upon leaving the factory. That’s partially why it took more than a year at the body shop. I fear my restoration skills are at a level that can’t do justice to the high quality of the paint and body reassembly. 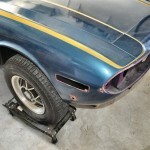 You don’t just reinstall the new parts, you fit them and sometimes newly remade parts for classic cars don’t fit the same way the originals did. I know that putting this Stag back together so that it can reach its potential will test me in ways I have failed in the past. It will require patience, where I have shown little; it will take skills I don’t have; it will call upon me to demonstrate a degree of precision I am not known for. That’s The Fear. Or at least part of it. The rest of The Fear is this: even if I do succeed in an immaculate conception and fit everything properly without damaging the paint, the car will be too nice to drive without worrying about it constantly. Every potential pebble in the road that could go airborne, every inattentive driver fiddling with his cell phone in the next lane, every speeding car at an intersection could mean trouble. Still, there is no choice, really, but to see the project through. And I can’t quit now. This particular Stag has been waiting a very long time to rejoin the world of the living. 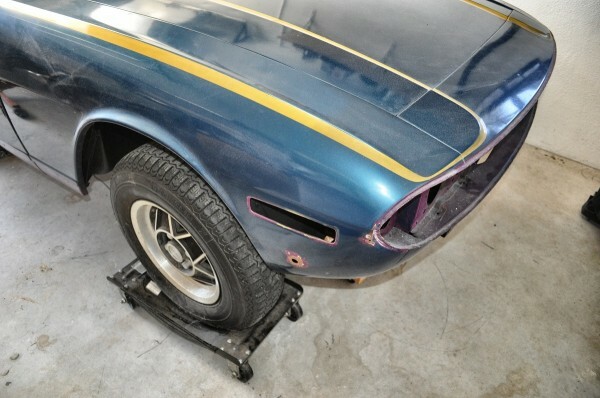 The car, born in November of 1972, was one of the first Mark II Stags off the line. It was was born Magenta with a black interior, fitted with air conditioning, a four-speed gearbox, hardtop and AM/FM radio and sold to a doctor in Florida. He was not a fan of Magenta and he had the car painted metallic blue with yellow accent stripes. Somewhere in its early history, the right rear fender was hit. The repair was adequate, but not great. Bondo was used, and it showed. The car was traded in and purchased by its second owner in the late 1970s. By 1984, it needed a new convertible top. 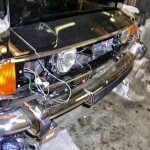 One thing led to another and the car was stripped for restoration. Except the restoration never happened. The car sat under a cover in a garage in Miami until around 2000. Then it moved along with the owner to Sebring, Florida, where it sat another dozen years. The most recent economic downturn forced the owner to start selling off the parts until he was just down to the shell. And that’s where I enter the story. I was just looking for a perfect dash assembly for my green 1973 Stag when I saw the car on eBay. The body didn’t have a spec of rust and I knew that, with a new paint job, it would be better than my current emerald green 1973 Stag, which had been hit hard in the rear many decades ago, and fixed poorly. 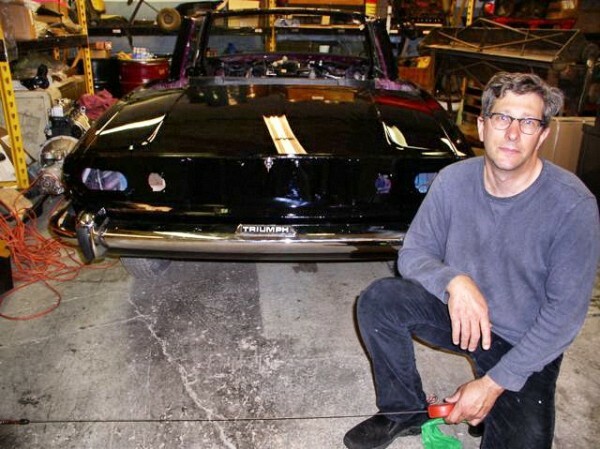 The plan became this: since I had just finished an extensive mechanical restoration of my green Stag – with all major components completely rebuilt – I would buy the Florida Stag and restore the body, then transfer all of the mechanical components from my green Stag. In affect, I would reshell the green Stag, but then several things intervened and changed those plans. First, I read the Triumph development story on AROnline and saw where Triumph’s Chief Engineer, Harry Webster, said he always intended the Stag to be born with the proven 2.5-litre six-cylinder engine, with the V8 coming on stream after launch when the engine was perfected. Well, we know how that turned out. Further research showed the Triumph six to be a straightforward bolt-in swap using Triumph designed, engineered and built parts. No modifications to the car would be necessary. No fabrication would be necessary. 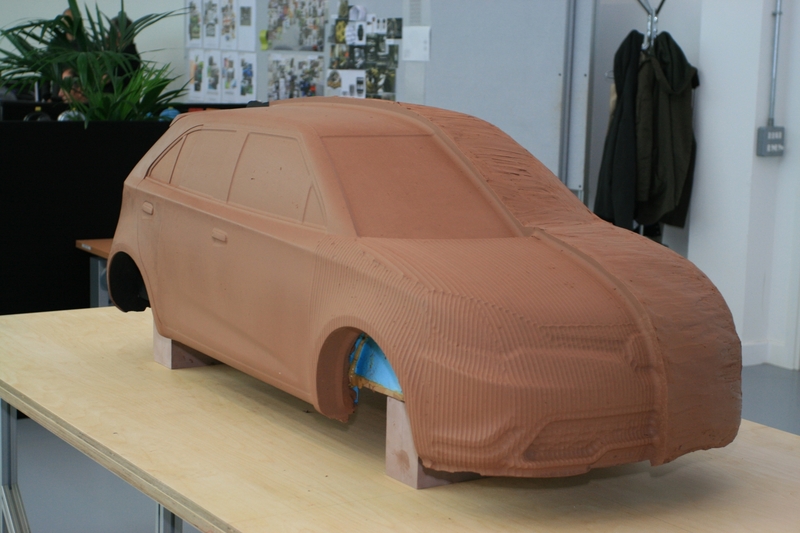 You could simply use the front engine brace from a late 2500S Estate fitted with PAS and a front anti-roll bar along with the rear transmission mounting – the six-cylinder powertrain then fits right in. I knew where I could buy a nicely rebuilt TR6 engine for a very good price. I also knew where to find a very affordable TR6 J-Type overdrive ‘box that needed rebuilding. 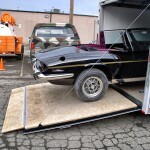 Then, a friend bought a rough 1973 Stag to restore, but subsequently decided the car was too far gone. Instead, he would just part it out. All of the sudden, I could see how to fit all the puzzle pieces and build a complete car without disturbing my green Stag, which I would use as a template to build the new one. In America, many Stags have lost their original Triumph V8 engines and are powered by Ford, Chevrolet and Buick/Rover V8s. Most of these vehicles are sloppily done, with grotesque hood scoops ruining Michelotti’s beautiful styling and with less than ideal engineering. Having owned seven TR6s and a 2500 S saloon, I am well aware of what the Triumph 2.5 engine can deliver with a few performance upgrades. TR5 S2 cam, tubular exhaust and the triple carburetor setup should see the 2.5’s power output in the same league as the Triumph V8 with none of the latter engine’s legendary reliability issues. So, that was the plan that led me to where I am today. Sitting three feet to the left of the Stag is that rebuilt TR6 engine fitted with the performance parts mentioned above. Chris Witor, a Triumph sedan spares stockist, supplied the rest of the parts needed for the engine installation. The TR6 J-Type ‘box has been rebuilt, but with the heavier duty Stag internal components. You might ask: why create one of the nicest Stags around only to put the wrong engine in it? To that I would answer: I don’t consider the 2.5 to be the wrong engine. The fact that factory parts exist to easily bolt it in place, makes it a proper engine for the Stag. Further, my Stag 2.5 will still have about the same performance as the Stag V8 and it will still be powered by a Triumph engine. And so it begins, my Stag summer. By the time you read this, the build will be well under way. 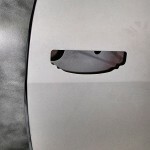 All new exterior trim from Rimmers has been ordered, delivered and is nearly all installed. I was able to pickoff on eBay NOS taillights and a few NOS parts. I’ll be keeping you up on the project regularly. What’s keeping me awake tonight are the brake lines. The original ones on the car are missing and I have to fabricate new ones. We don’t use copper for those here in the USA, so it will be steel. I have never done this job before, so I feel a bit like a drunk stumbling around in the dark trying to find the light switch. I am restoring a couple of Minis that haven’t been dismantled as much as your Stag and it’s making me nervous thinking of putting it all back together again! my sd1 is not quite this disassembled and I worry about putting it back together when returned from the paint shop!! good luck..
Will bring my TR 6 650 Tiger along..
One day, I am going to do justice to such a special car. Old skool electrics are easy enough to work on. Please can you keep this article on here so we can all admire your hard graft. I was taken out for a “burn” in the big 2500 triumph salon….and remember the engine noise turning from a hum into a snarl…. Im glad this beautiful car is being restored,im only saddened that it wont have that wonderful V8 music from the tailpipes,althoughit as to be said the Triumph straight sixes are a sweet lovely engine. Richard wasn’t it you who was praising the work of Total Flow Products for the work they did on your Triumph Stag cylinder heads some years ago? I find it strange you should now go down the line of fitting a straight six to this Stag. As much as I’m admirer of the Triumph six engine, I have a Triumph GT6 myself, I would still rather fit the V8 engine, though as you state the original design had the intentions of fitting it with the straight six, however it soon became the home of the new Triumph V8. To me a Stag should have the Triumph V8, otherwise it will be 2500 Tourer! Anyway I’m sure Richard will present a very nice car at the end of it’s restoration, at least the shell looks in good nic, that’s more than can be said of some of the British shells that come up for restoration. Richard if your ever in need of Triumph Stag advice contact Tony Hart of Hart Racing Services, he’s the guru on Triumph Stags and has made it the car that it should have been when it was first introduced. Look forward to reading about the end product! I have a green ’73 Stag with the Triumph V8 with the Total Flow heads. I am building the Stag with a 2.5 because I want a Stag with that engine. The OHC Triumph V8 in U.S. tune makes only 125 horsepower and doesn’t do anything well, really, except sound nice. I plan to keep that car. But the Triumph 2.5 opens up some interesting possibilities down the road, such as fuel injection, electronic or otherwise. Since you are going to all this trouble, I would consider electronic fuel injection instead of SU carbs. There are several US folks who have done this to the TR6 and GT6 motors. Better running, starting, fuel consumption . Good luck Richard. This would be the restoration I would do if I had the money. Overcome that fear you will do a great job! I’m not a fan of old cars, but I fondly remember one summer when I ran a Stag. A wonderful car. Being an English arse, I find a straight 6 is a Gentleman’s Engine, whereas a V8, well thats a thug’s lump, isn’t it? Good luck Richard, I look forward to reading this Snag’s progress. 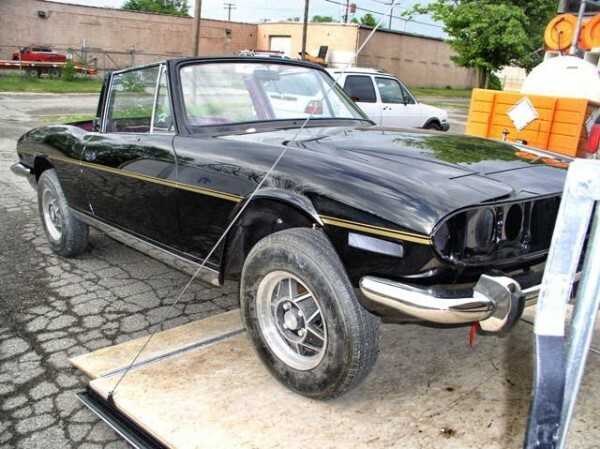 2500 straight 6 in a Stag??? Well that works fine for me! I passed my test on a Triumph 2000 and remember the fabulous torque that meant you only ever needed 3rd and top on the move. 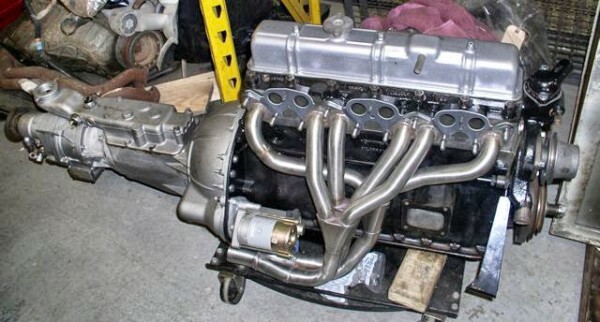 The six should sound great especially with the tubular manifold replacing the original 6-1 cast item. I know exactly where you are in this. My Elan is still in process due, in large part, to The Fear as you call it. It’s time for me to get stuck back in and finish the car; much tougher when you have stopped and started many times, usually for work. It’s a tough slog, but I’m sure you’ll conquer it. A drunk stumbling around in the dark, looking for a light switch. Making brake lines. May you be the luckiest drunk ever. Original V8 was the design from hell, it’s one redeeming feature was that it made a nice noise. 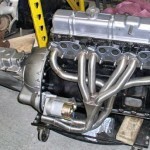 Six pot 2.5 is a far more durable engine, and a lot easier to maintain to boot. However the purists want to argue it, the original engine, even with modern upgrades, is never going to be as reliable. Richard, please tell me an Oxblood hood and upholstery are going in! Would make a fabulous combination, just keep clear of chrome wires – how about some torq thrust D’s to rattle the purists! The paint job is beautiful, and the six-cylinder engine is a good idea too, especially if it is easier to maintain than the original V8. Also, do you think the Stag might have been more successful if it had offered the six as an ‘entry level’ engine, similar to Mercedes with the SL back then? I’ve also wondered why the Stag wasn’t offered with the 2.5 engine, or were Triumph worried about it affecting the TR6’s sales? 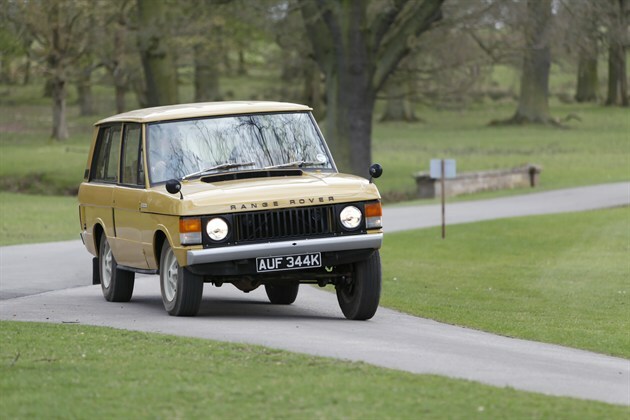 The Rover V8 was another option, though the factory way running at full stretch at that time. There was also the 2.6 E6. Considering the E series factory had some slack due to lower than expected Maxi sales, it’s interesting that BL didn’t find some more aplications for them. Triumph had planned to launch with the 6 cylinder 2.5 which would have been an excellent option and extended sales. If they had also launched the fastback which was built in prototype form then Stag would have been a winner in the USA especially if the V8 had been sorted better. Its a shame that SD1 did not spawn a triumph 2000 saloon version and a replacement Stag which would have helped BLMC maintain sales in the executive sales and extend sales in the USA with JRT doing much better. #16………..Triumph engineers made damn sure the Rover V8 wouldn’t fit [without body mods] another example of interniscine strife that ruined the British car industry. 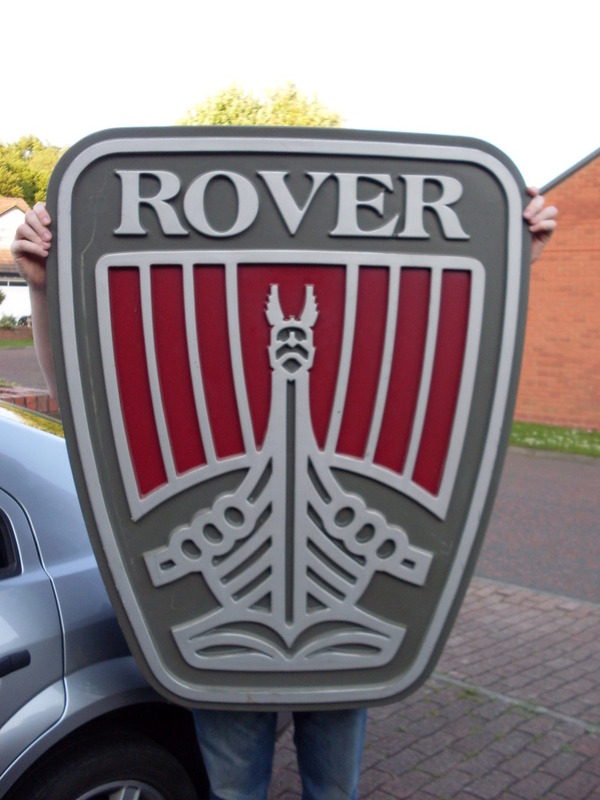 @20 For a while, the standard fix for Stags with engine troubles was to fit the Rover V8. There were also Triumph 2500 cars with Stag and Rover V8 engines, some made by BL engineers. It’s the Jaguar xj40 which was engineered not to fit the Rover V8. Later, they redesigned the front structure to fit their own one.